What are the different passes available and their prices? The All Access Pole Expo Pass includes breakfast and snacks Friday and Saturday and access to the vendor arena, which has free workshops, seminars, and incredible shopping. Plus you will get entry into the Pole Classic Competition (Friday night), US Pole Sports Federation amateur competition Saturday morning and the Pole-A-Palooza Competition (Saturday night) Friday night. Only $189. Pole Expo All Access Pass Payment Plan is available! $47.25/mo x 4 mo = $189. Day Pass for Friday and Saturday are $95 each. This Day Pass includes breakfast and snacks, and access to the vendor arena, for the date listed on your pass. Friday and Saturday are sold individually. What do I need to get into Pole Expo, and what will I experience? Everyone needs either a All Access Pole Expo Pass, or a Day Pass to enter Pole Expo. Your All Access Pole Expo Pass is only $189! Can someone pick up my Expo Pass for me if they arrive before me? You need to register personally. Please print and bring your receipt with you to Pole Expo, along with your government issued photo ID. At the time of registration you will receive a swag gift bag and wrist band. The wrist band needs to be put on your wrist by registration staff. You will need to wear your wrist band the entire weekend. The Pole Classic Competition and Pole Star Showcase is on Friday August 23rd this year? Yes, the Pole Classic Competition and Pole Star Showcase will be on Friday night August 23rd inside the Vendor Arena. Can I buy a pass to Pole Expo when I arrive? Yes, you can, however the entry process will be faster for those who pay in advance, and bring their receipt with I.D. My husband is coming with me to Vegas. Can I purchase just the Competition & Showcase for him? Yes, the Competition and Showcase tickets for Friday are available on our website under the purchase tab, and at the entrance to the vendor arena. I am under 21 and coming Pole Expo. Can I still attend the event and watch the competition? Yes, all ages are welcome to Pole Expo, and watch the nightly competitions. Te only event you are not able to attend is Pole-A-Palooza on Saturday night, because it occurs in a nightclub. Also you will need to have someone 21+ with you to check into your hotel room at The Rio, or make quick friends with a #polefamily member. What if the workshops I wanted to participate in are sold out. Should I still come to Pole Expo? 100% yes! Pole Expo is much more then just workshops. 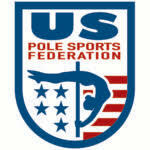 We have the worlds best shopping a pole dance could dream of, and inside the vendor area you will be busy participating in free workshops, seminars and performances, plus this year we have the US Pole Sports Federation amateur competition Saturday morning! With your Expo Pass you will enjoy Friday's Pole Classic Competition and Pole Star Showcase and Pol-A-Palooza where the BEST pole dancers perform their craziest tricks for a piece of $10K! Breakfast is also included both days's Friday & Saturday. Pole Expo is a life changing experience for both amateurs and professionals. How do I swap or make changes to the workshops I purchased? Can I sign up for private lessons with the instructors, if so how to you get in contact with them and do you know pricing? If you need to make any changes to workshops you have purchased, please email Support@PoleExpo.com Do not remove yourself from the workshop as you may lose your spot. Also remember we don’t offer refunds. Yes, privates are available to book now. Prices vary by instructor. Once you have purchased your Expo Pass and booked yourself into your workshops, please email Support@PoleExpo.com to purchase privates. What is the maximum amount of people in each workshop? Is Pole Expo a fundraiser? Three Square. For every $1 that you donate, three meals will be made! 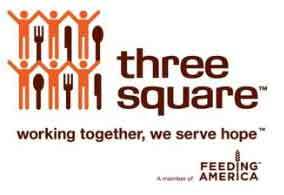 Fawnia toured the Three Square facility and was extremely impressed with the grand scale they operate on, and how efficient they are in getting foods for the least money possible. Plus nothing goes to waste, all is recycled and their building even runs on solar power! Pole Expo urges you to add at least one dollar to your purchase, and you will be feeding a person three square meals, 40% of which comes from fresh fruits and vegetables; truly amazing. Together we can feed everyone. Click Here to donate!